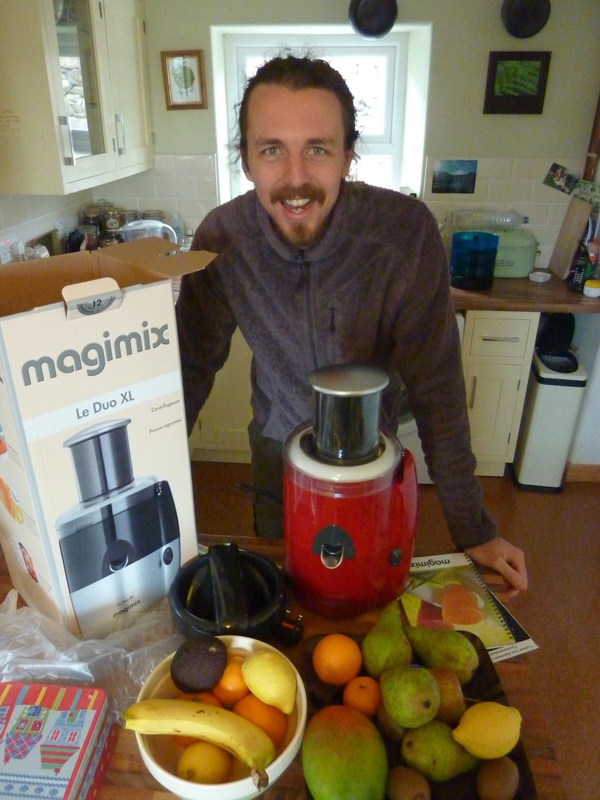 The Magimix juicer arrived yesterday. I was overcome with a ‘child at christmas’ feeling. It’s a heavy thing and as we all know, heavy means quality. A good sign. 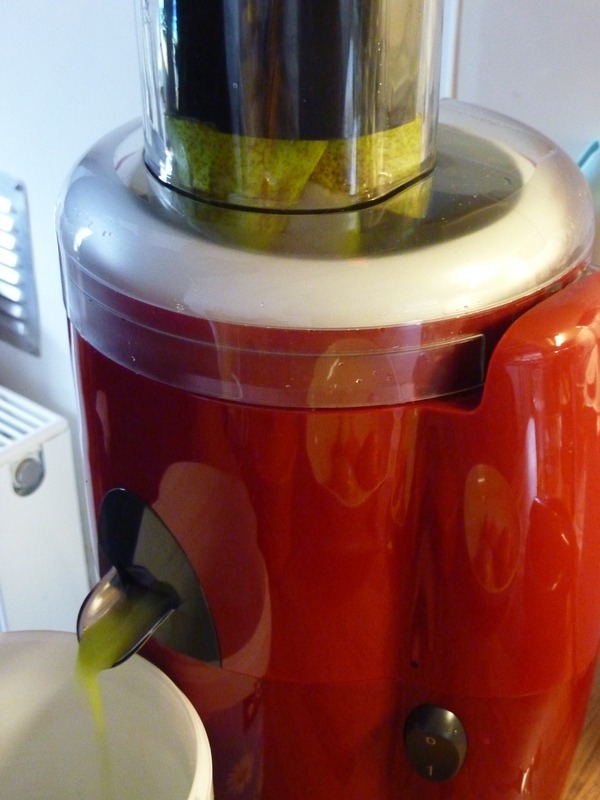 The juicer is a ‘Le Duo XL’ and judging by the way it all slots together so well and the 12 year guarantee with the motor, it is a good piece of kit. We had ordered it in red to go nicely with our utensils and teapot, it fits in perfectly, like its always been there. It boasts an extra large funnel, so whole pieces of fruit and veg can be juiced in one and a citrus press fitting, making OJ nice and easy. We cannot wait to begin the juicing in the morning. The Magimix will be an essential part of our ‘Raw June‘ Challenge.